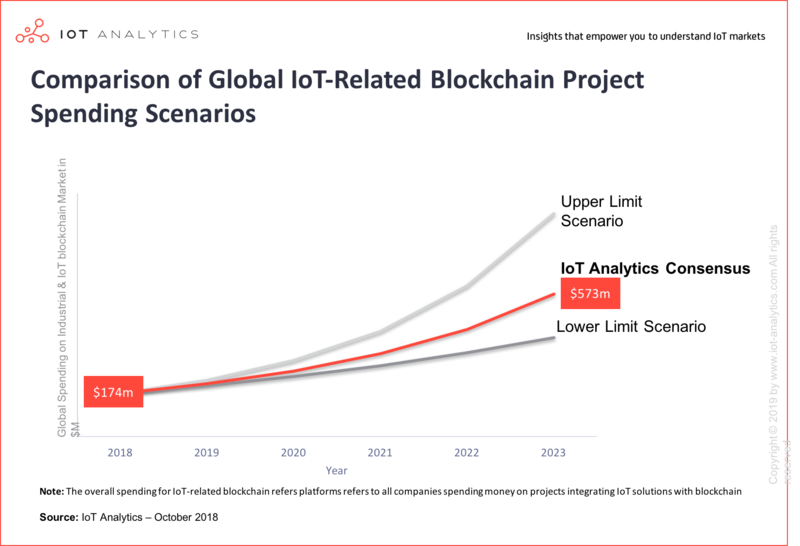 New report finds $174M in Industrial & IoT Blockchain spending today and predicts the market will expand to $573M by 2023 – driven by encouraging pilot project results and ongoing corporate investments. 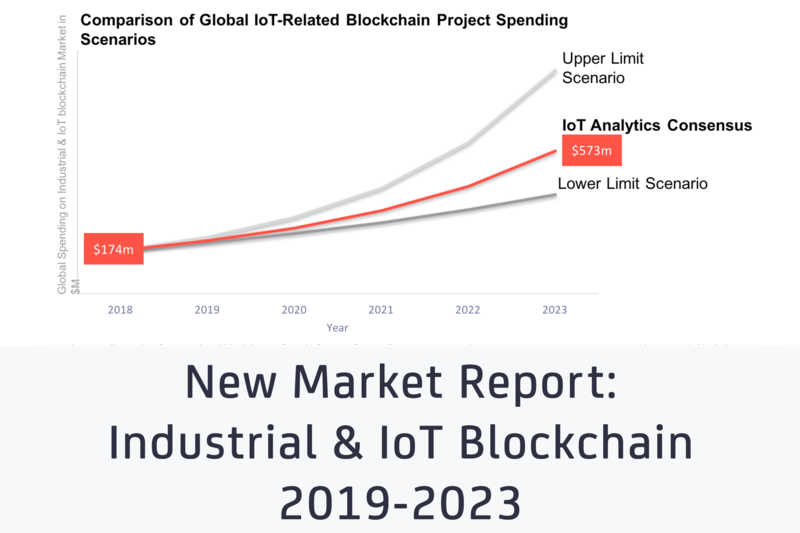 IoT Analytics, a leading provider of market insights and competitive intelligence for the Internet of Things (IoT), M2M, and Industry 4.0, today published a 121-page report titled Industrial & IoT Blockchain Market 2019-2023. The report, which is part of the IoT Analytics Emerging Technologies series, was compiled over the course of 9 months and involved 25+ interviews with industry experts. A critical discussion on the role of blockchain technology in IoT solutions is presented through 40+ analysis charts and 10+ data tables predominantly based on the examination of 140+ proof-of-concepts and investment trends in the market. 5 fundamental technological concepts of the emerging technology are discussed including blockchain architectures, permissions, platforms, deployment considerations, and applications. 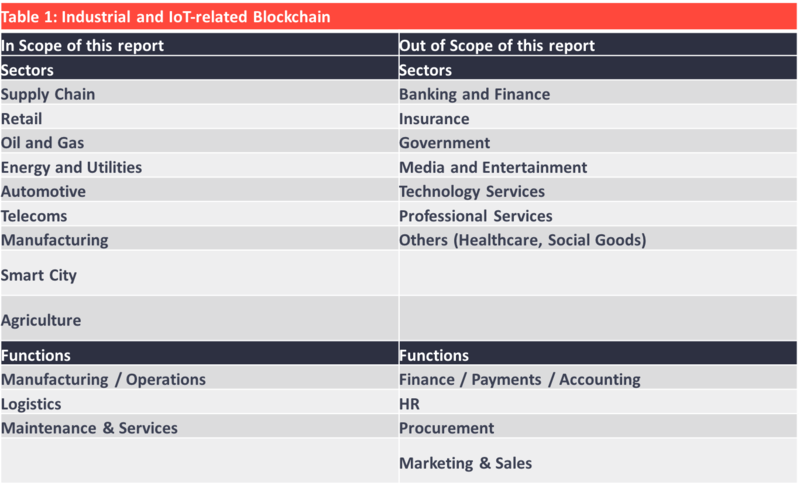 The report shows that there is value in blockchain beyond banking, finance & insurance as the research identified 15+ blockchain-based use cases for Industrial & IoT settings. Use cases such as food origin, safety, quality tracking, micro grid and energy trading were identified from across 11 industries as well as cross-vertical use cases such as blockchain for security and an IoT data marketplace. A detailed analysis of 140 blockchain technology vendors providing solutions for industrial and Internet of Things use cases revealed IBM as the current Industrial & IoT Blockchain Market leader with an estimated 20% of global market share. Supply Chain was identified as the #1 application area for blockchain from an Industrial & IoT project standpoint. The report includes a list of 38 real-world Industrial & IoT blockchain implementations and has a detailed deep-dive on 10 specific blockchain technology providers from around the world. The report also includes 12 current market drivers and challenges, 3 market trends and 2 future developments that are shaping the Industrial & IoT Blockchain market. The Market Report is available to download HERE, and a sample of the market report can be downloaded HERE. IoT Analytics is the leading provider of market insights & competitive intelligence for the Internet of Things (IoT), M2M, and Industry 4.0. The boutique research firm helps more than 40,000 Internet of Things decision-makers understand IoT markets every month. IoT Analytics tracks important data around the IoT ecosystem such as market developments, M&A activity, startup funding, company projects, use cases and latest news. Product offerings include in-depth market reports as well as bespoke research and consulting services. As a research pioneer, IoT Analytics combines traditional methods of market research such as interviews and surveys with state-of-the art web-mining tools to generate high-caliber insights. Accenture, Alibaba, Amazon, Ambrosus, Baidu, Blockfreight, Blockverify, Byteball, Chronicled, Cybervein, Everledger, Evrythng, Filament, Google, IBM, IoTA, Microsoft, Modum, Nano, Oracle, Provenance, SAP, Tencent, among others. Samples of the Industrial & IoT Blockchain Report can be downloaded HERE. Saverio is a strategic adviser at IoT Analytics. His expertise revolves around entrepreneurship in IoT and emerging technology, the impact of blockchain on innovation and more.